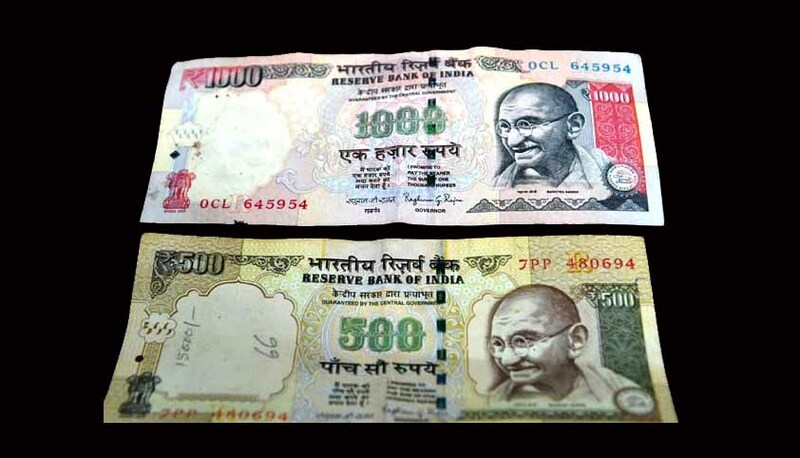 The Supreme Court today refused to intervene on the issue of extension of the order on depositing old Rs 500 and Rs 1000 denominations after December 30, continued use of old currency for some essential services like hospitals and crematorium and exempting district central cooperative banks from accepting deposits saying government was the best judge and did not want to interfere in fiscal policy. It however stressed that government should take all steps to alleviate the inconvenience of the people “as assured repeatedly by Attorney General Mukul Rohatgi who represented the Centre”. A bench headed by Chief Justice T S Thakur however said it will set up a five judge constitution bench to examine the legality of the November 8 notification ordering demonetisation and also identified nine other issues which the bench will examine. Issues pertaining to leaving the district cooperative banks from post demonetisation process. Significantly it also restrained all High Courts from admitting fresh petitions challenging demonetisation or any other pertaining to the issue and also stayed all the pending proceedings. The apex court transferred all pending petitions before it. The court had yesterday posed several pointed questions to the government during the hearing of petitions challenging demonetization. Apart from asking "how crores in new notes were being seized from various parts of the country when it could not pay even the promised Rs 24,000 a week to public", a bench headed by Chief Justice T S Thakur had also slammed the government for not having any norm, plan or fixed ratio for giving back in new notes after accepting crores worth of old notes as deposits. On new note seizures government replied that several bank officials including managers were involved and they have been arrested. At the outset CJI Thakur had asked why public was being denied Rs 24,000 per week and how a lesser amount can be given without amending the notification. The issue of District Cooperative Banks came when AG Mukul Rohatgi submitted that as per changed rules these banks are being allowed to deposit in RBI Rs 8000 crore they collected from public. But Senior advocate Kapil Sibal and P Chidambaram appearing for anti-demonetisation petitioners argued that main grievance of the DCCB banks were that they were not being allowed to accept deposits. ÇJI also questioned how these banks will benefit till the money they deposited in RBI in old notes reaches them back in new notes. "There cannot be unpredictability.Why dont you have a policy...what is the time frame for it? It seems you dont have any plan" CJI told Rohatgi. The hearing will continue after vacations. Not happy with the pace of steps being taken to alleviate people's suffering, the court had on Friday asked the Centre why even a month after demonetisation, it was not even able to ensure that people got at least the Rs 24,000 they were allowed to withdraw a week from banks or ATMs. "We could have said raise the weekly limit from Rs 24,000 to Rs 50,000. But then you say you don't have the notes and printing will take time. If you have agreed to Rs 24,000, at least ensure that people are given that. At least allow people to withdraw Rs 10,000. Can you do that or you need a judicial order?" CJI Thakur had asked AG Rohatgi.